In this workshop, you will work with non-traditional fabrics such as satin and sheer fabrics that will add interest to your piece. 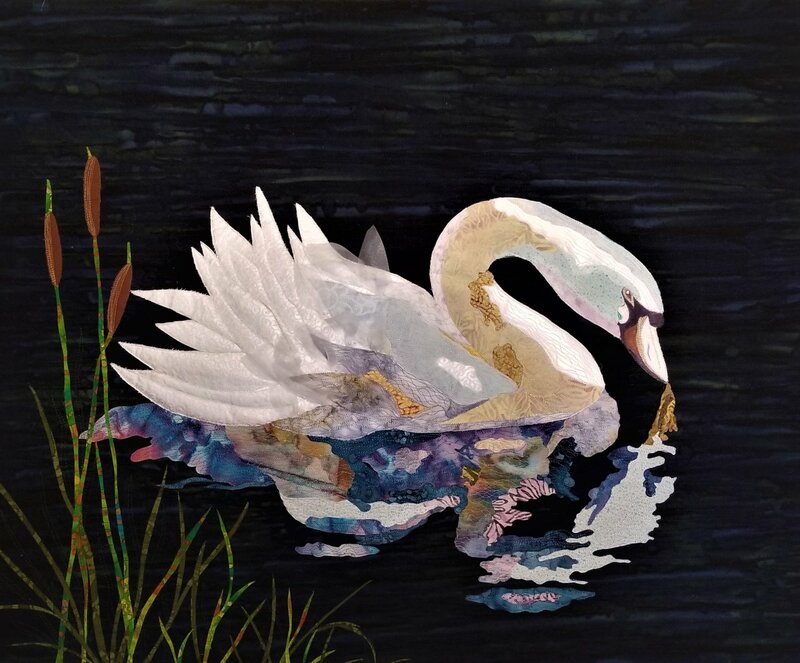 My quilt, Swan Lake, was created with batiks, satin and sheer fabrics to give the swan a 3 dimensional look. Other techniques and quilting stitches will be discussed to complete your project.